"We believe that as members of the Body of Christ, we are called to ministries of worship, education, hospitality and witness." The Church of St. Luke in the Fields is a lively, inclusive parish located in the heart of New York City's Greenwich Village. An Episcopal Church, and part of the world-wide Anglican Communion. We are grounded in the rich Anglo-Catholic liturgical and musical tradition. We reflect the variety of peoples in our world: different genders, sexual orientations, all forms of families, all abilities and special needs, in every socio-economic grouping, and from many cultures – all one in the Body of Christ. Founded in 1820, St. Luke’s is an Episcopal Church, grounded in the rich Anglo-Catholic liturgical and musical tradition, and part of the worldwide Anglican Communion. In the 19th century, St. Luke’s was an important center of the catholic renewal within Anglicanism and the Oxford Movement in the United States. The parish became the first in the city to offer daily services of Morning and Evening Prayer and a weekly Sunday Eucharist. The Holy Eucharist (also known as The Mass or Holy Communion) remains at the heart of our life as a parish. As members of the Body of Christ nourished and strengthened for ministry in the Holy Eucharist, we believe we are called to share the Gospel of Jesus Christ through worship, Christian formation, outreach and hospitality. St. Luke’s serves the neighborhood by sharing our spaces. 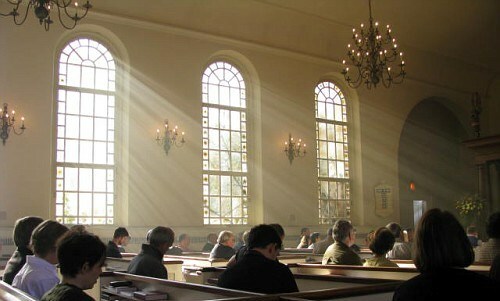 The Church is regularly open for people to come in to rest and pray. We also offer respite to passers-by in our lovely gardens. We make space available for various groups and organizations, including room for parents, together with toddlers, to meet weekly — and one of the oldest Alcoholics Anonymous (AA) meetings in the city, which meets four nights a week. 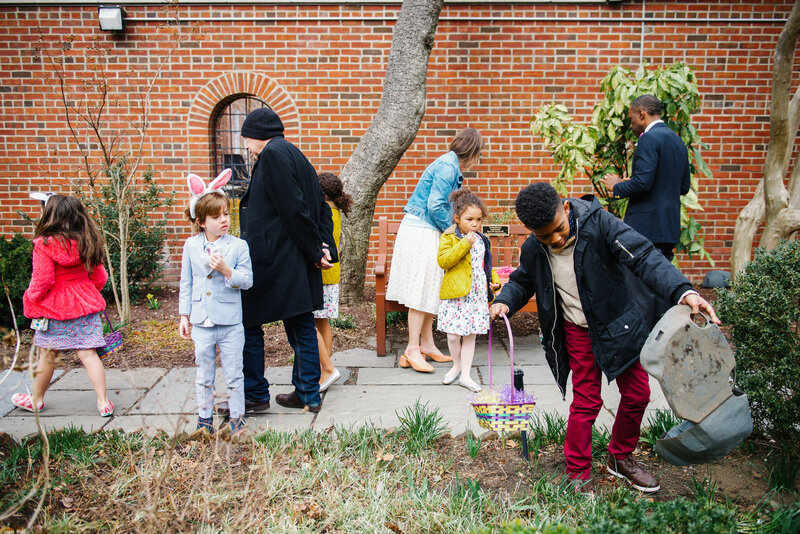 We also welcome children from all over the neighborhood to our annual Christmas Pageant and Easter Egg Hunt. We reach out with hospitality and imagination to those in need in the community. From serving the children of dockworkers in the early 20th century, to becoming a welcoming refuge for those affected by the HIV/AIDS pandemic from its onset in the 1980s, to our ongoing efforts in meeting the needs of homeless and marginally housed LGBTQ+ youth, St. Luke’s is committed to responding to the challenges of our community. With love and care we seek to promote justice and peace and to respect the dignity of every human being. We regard the whole of the West Village as our parish and we reach out and serve all who are in need. At the same time, our reach extends far beyond the West Village. Our Anglo-Catholic liturgy, our music program and the energy of our congregational singing draw visitors from around the country and the world. 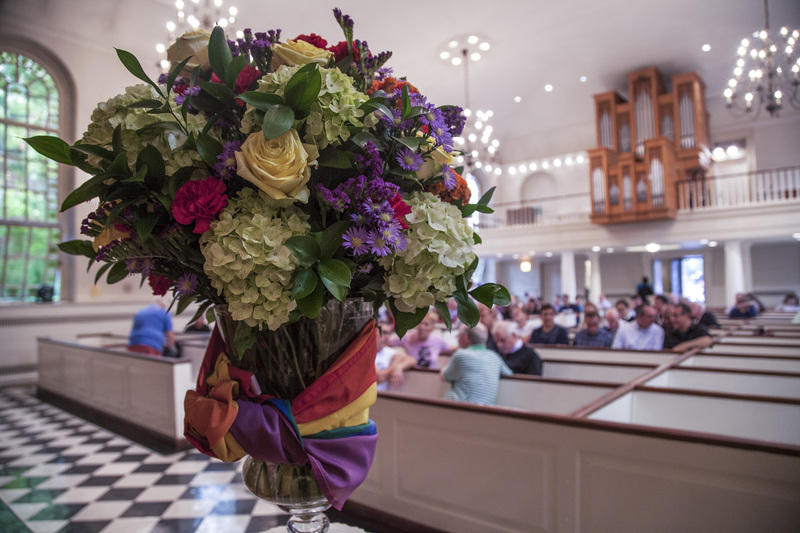 In conjunction with New York City’s Pride Weekend, our annual Pride Evensong fills the Church with visitors from all over. St Luke’s also partners with our companions in ministry at Tsogong Cathedral, in the Diocese of Matlasone, South Africa and the Church of Saint Mary the Virgin, Primrose Hill, in the Diocese of London. We hope that you feel welcome at St. Luke in the Fields, whether you are seeking a new Church home, curious about who we are, or just happen to be walking by. If you would like to know more about us, please contact any member of the Clergy, and they will be delighted to follow through with you.